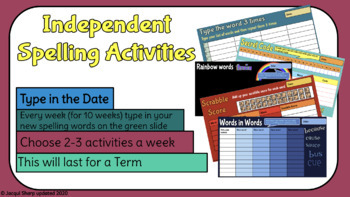 Independent Spelling Activities are designed to be used digitally either online as a Google Slide, a PowerPoint download or you could print out the Black and White version so that students can write on them. 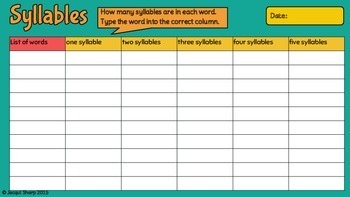 Students have a range of 20 different spelling activities. 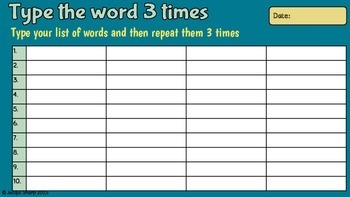 They could do one a day, or it could be a homework task. 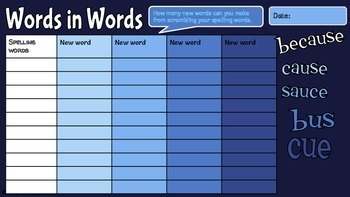 This activity is designed so that students independently make choices about what activity they want to do and are a fun way to practise their spelling. If your students have GAFE (Google Apps for Education) Google accounts they can make a copy of the Google Slide and save it in their Google Drive. A link to the Google Slide which you can make copies of.